The following courses are offered by the Orthodox School of Theology within Trinity College's Faculty of Divinity. 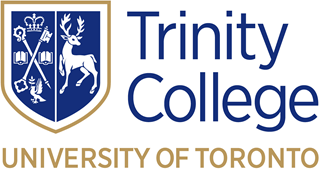 Students of the MDiv and MTS programmes may also take any other courses from Trinity College's Faculty of Divinity or the wider Toronto School of Theology (view a complete list of TST courses by department or session). Course selection should be made in consultation with the programme director. Click below on the name of the course to view the full syllabus, including course description, outcomes, evaluations and reading list. This course is a survey of the New Testament books in their historical and religious background with attention to hermeneutics, the patristic exegetical heritage, and modern biblical studies. The New Testament will be read in its entirety, along with commentaries by Church Fathers and writings by modern theologians. Evaluation of the possibility of interaction or dialogue between Orthodox theoria-reading, which understand the Old Testament eschatologically in reference to the new, and modern western historical-critical approaches to reading the Old Testament text. In this course we will study the key events, figures, controversies, and the development of ideas in the truly formative period of the early Church. We will explore the relationship between the external pressures the Church faced, its internal struggles, and the role of divine revelation in the process of the Church’s formation. However, we will also ask questions about whether the stories we tell about our subject, based very much on texts, can be supplemented or even corrected by the record of material culture and archeological discovery. Thus in addition to understanding the intellectual and structural developments of Church history as presented in texts, we will ask whether a different picture emerges from an examination of the material record. Finally, we will place a great deal of emphasis on examining primary sources alongside the secondary literature; we will continually step back to reflect on our own assumptions and on the ways in which Church historians make use of the primary sources they draw on to construct their versions of the story of the early Church. This course will examine the history of the Church from the years 451 (the Council of Chalcedon) to 1204 (the sac of Constantinople) with emphasis on the Eastern Churches. Key topics will include the Council of Chalcedon and the following Ecumenical Councils, the reign of Emperor Justinian, the Great Schism, and the Crusades. Throughout the course, emphasis will be placed on engaging with primary sources. In addition, we will pay special attention to the nature of Church History as a discipline, and what it means to study Christianity during an often difficult time. This course will examine the history of the Orthodox Christian churches (including “Eastern,” Assyrian and Oriental Orthodox) from 1204 to the present. Key topics will include Orthodox relations with Roman Catholic and Protestant communities, with Islam, and with Communism, as well as hesychasm, liturgical reform, missions, Orthodox ethnicism, the Orthodox “diaspora,” and the growth of Orthodoxy as a Western phenomenon. Throughout the course, emphasis will be placed on engaging with primary sources. In addition, we will pay special attention to the nature of Church History as a discipline, what it means to study Christianity during an often difficult time, and the pastoral mission of Church historians. The first major phase of Christian theological development took place between the Ascension of Christ as the Council of Chalcedon (451 AD). During this period, the problems of the Trinity, appropriate exegesis of scripture, Christology, and salvation would be addressed in a variety of ways. In this course, we will explore the development of early Christian doctrine and theology through careful reading of key primary sources and secondary material. Emphasis will be on the above theological questions, with special attention to the significance of this theology for lived praxis among Christians at the time and in the present day. Key fathers and mothers of the Church will be explored alongside thinkers whose views would eventually be considered heretical. The Medieval period witnessed some of the most intense and fruitful theological and doctrinal discussions in Eastern Orthodox Church history, from the Monothelite controversy to Iconoclasm to the birth of Hesychastic theology and practice. This course will explore the writings of the most influential minds of the Eastern Church during the period, namely Maximus the Confessor, John the Damascene, Photius of Constantinople, Symeon the New Theologian, and Gregory Palamas. Heavy emphasis will be placed on primary sources (read in translation). Key topics will include developments in Christology, Trinitarian theology, the theology of icons, theological anthropology, Hesychasm and the theology of deification as discussed by these authors. This course studies Orthodox theology from the fall of Constantinople in 1453 to the present, with a focus on the Orthodox theological and spiritual revival in the 19th and 20th centuries, especially the Russian religious renaissance and neopatristic theology. Emphasis on readings and discussion of major primary texts. This course will explore through classroom lectures and seminar discussions the texts and pastoral practice of the core liturgical rites for the Divine Eucharist in the Byzantine (Orthodox and Eastern Catholic) churches, including the historical evolution and theological meaning of those rites. Guest lectures will also cover the Eucharistic liturgies of the Oriental Orthodox churches, specifically the Coptic and Ethiopian rites. The course will also explore the concept of liturgical theology. This course will explore through classroom lectures and seminar discussions the liturgical understanding of human existence from the central liturgical rites of the Orthodox Church covering every aspect of life: birth, marriage, ordination, confession, healing from sickness, and death. The course will thus provide an overview of the history, theology and current practice of the holy mysteries (sacraments), with a view to understanding the sacramentality of the world and the centrality of liturgy and sacraments in contemporary Christian life and ministry. This course will explore through classroom lectures and seminar discussions the texts and pastoral practice of the daily cycle of the liturgy of the hours and the yearly cycle of feasts, fasts and commemorations of the Byzantine (Orthodox and Eastern Catholic) churches, including the historical evolution and theological meaning of those rites. Some consideration will also be given to the liturgies of the hours and liturgical year of the Oriental Orthodox churches, specifically the Syriac, Coptic and Ethiopian rites. The course will also further develop the concept of liturgical theology and the reflect on pastoral practice in the celebration of daily and festal services. Visual language is an essential dimension of Orthodox liturgy and prayer. Iconology (the theology of iconography) is the study of why we find visual imagery worthy of veneration and essential in our prayer life. The study of Christian iconography requires a grasp of how visual language works, how to “read” its basic elements as if they were a living language. In building such reading skills, this course aims to probe more deeply than the iconographic surface; our true goal is to ask how the visual context in our worship communicates meaning, and to grasp the iconology of the visual in Orthodox worship. Students will study selected key monuments in great detail, searching for a deep grasp which can inform their present-day theological and devotional sensitivity. This course explores Orthodox spiritual and pastoral guidance from the 1st to the 14th centuries, from both thematic and historical perspectives, beginning with consideration of the goal of Orthodox spirituality as union with God (theosis). The course will then examine the Biblical foundations of spirituality, the contributions of the early Church, monasticism, philosophy, liturgy, mysticism, patristic theology, and the major themes of ascetic theology, following the schema of purification-illumination, perfection. The course will emphasize readings of the classic spiritual texts to the 14th century, including Biblical texts, homilies, catecheses, apophthegma, treatises, discourses, liturgical texts and lives of saints. This course covers modern approaches to the Orthodox concept of theosis, the movement of the Christian into complete life in, through, and with God, through Christ and the Holy Spirit. The course covers the period from the fourteenth century to the present day, and focuses in particular on the leading Orthodox spiritual personalities, movements and writings of the nineteenth and twentieth centuries. The writings include works of contemplation, monastic and non-monastic texts, sermons and catecheses. Orthodox Christian thought has always been deeply concerned with ethical-social issues of the daily encounter with life and culture, but grounds solutions to these issues in tradition, not ‘progress’. How should modern Orthodoxy respond to civil rights, war, sexuality, bioethics, multiculturalism, environmentalism, women's ministries, and other contemporary social issues? This course presents both effective preaching and liturgical celebration as key aspects of the proclamation of the good news of the Kingdom of God. An intensive course introduction will ground students in the theology of sacramental preaching and help them to develop dynamic oral communication skills. The weekly year-long course will provide the opportunity for students to hone their sermon preparation and preaching skills in a supportive environment, as well as offering a practice-oriented seminar in which all the elements required for the proper and kerygmatic celebration of Orthodox divine services will be discussed and put into pastoral practice. Without any previous knowledge of music theory required, this course will examine the history and development of liturgical music in the Orthodox Church. It will examine the relationship and differences between Byzantine chant (and other related ancient chant systems) and polyphonic church music, including in musical scales, notation systems, composition and the relationship of music to the text of liturgy. The contemporary application of Byzantine chant will be explored, including composing music in ancient chant tradition for English liturgical translations and representing chants on a five-line staff. The course will also consider the liturgical purpose and performance of Orthodox Church music and its impact on celebrants and worshippers. This course will examine the biblical, theological, liturgical, and historical perspective of Orthodox missiology – including through the lives, ministries and methods of the greatest Orthodox missionaries – emphasising how missions should be an essential element of the Orthodox Church’s identity. We will focus on the various theological bases for an Orthodox understanding of mission. Course participants will become familiar with the works and thought of the major contemporary Orthodox theologians of mission, and be introduced to the latest concepts and debates in missiological circles, focusing particularly on today’s challenges in North American culture. Ultimately, participants should be well prepared to reflect theologically on the central question of “inculturating” or “incarnating” the Gospel in new missionary contexts. This course provides theological foundations for the practice of pastoral ministry in the Orthodox tradition by introducing students to the most significant teachings in applied Orthodox theological anthropology, beginning with the Cappadocian fathers, Maximus the Confessor and others. The course will also explore some contributions by modern scholars such as Bulgakov, Yannaras, Zizioulas, Behr, Vlachos and Von Balthasar who have enriched the study of the human person in Orthodox tradition and informed applied pastoral care. This course will also compare and contrast practical anthropological ideas developed by western, modern era philosophers such as Nietzsche, Freud and Sartre. The course will also explore some modern bioethical, technological and social issues that pose new questions regarding the human person and have direct implications for the practice of pastoral ministry. This course will be an introduction to the role and function of the Orthodox priest within the parish setting as well as other pastoral and chaplaincy roles (both clerical and lay). Students will be introduced to selected writings ranging from Scripture to the Fathers to contemporary theologians. We will be covering themes such as vocation, ordination, counseling, confession, and parish and personal life. While this course will briefly explore the biblical and historical origins and development of the priesthood and pastoral roles, its primary focus will be on the contemporary role of the priest or lay pastor in the modern world and parish life. This course explores how the Orthodox Church views itself (ecclesiology), relations between Orthodoxy and other Christians (ecumenism), and the role of non-Christian religions in God's plan for salvation (religious pluralism). This course explores the faith or beliefs of the Orthodox Church in the light of both patristic and modern Orthodox theology. The Orthodox dogmatic tradition is an expression or manifestation of the living experience of the Church, reflected for example in the liturgy, icons and the lives and writings of the saints, and not only as propositions relating to God or as an integrated logical “system” of thought. Major theological questions will be considered in terms of beliefs essential to the faith (“dogmas”), beliefs declared erroneous by Councils of the Church (“heresies”), and doctrines, teachings and private theological opinions (“theologoumena”). This course will provide an overview of the history of Coptic Christianity within the broader context of the Middle East, from its inception in the 1st century AD, till the present time. It focuses on the establishment of the Early Church institutions and doctrines in Alexandria, Antioch and Constantinople. A special focus will be on the development of Monasticism in Egypt, Syria and Palestine, and the role of monasteries in preserving and transmitting the Church tradition. Selected edited Greek, Coptic and Syriac literary sources on monasticism will introduce students to the religious and cultural affinities between the Churches of the Middle East. A historical overview on the origins of monasticism based on written sources. The comparison of these sources with the outcomes of archaeological excavations will reveal the relation between spiritual and material aspects of monastic life. Samples of published literary sources produced for different monastic orders such as sermons, canons and biographies will be studied. The main goal of this course is to strengthen student ability to carry out graduate-level studies and research in theology. This will be accomplished through the acquisition of methodological and other skills for the planning, development and finalization of graduate-level academic requirements (essays, book reports, exams), and familiarization with the range of resources, both written and digital (databases and internet), for theological studies, including dogmatic/systematic theology, history, patristics, spirituality, hagiography, Biblical studies and liturgy. The course will assist students in developing a proposal for thesis research and publishable-quality academic writing. This course will explore through classroom lectures and seminar discussions the Orthodox Christian theological and pastoral tradition surrounding dying and death. This tradition will be contextualised within the thought and praxis of the Scriptures and early church, as well as the treatment of dying and death in different epochs of western civilisation over the past 2,000 years – as reflected in philosophy, literature, art and community life – culminating in the “death-denying” culture of the 20th century and the crises and ethical dilemmas surrounding death in the early 21st century. Students should emerge from the class able to articulate a thoughtful Orthodox Christian response – both in terms of theology and pastoral practice – to issues of human life, dying and death today. The biblical and patristic tradition of the Orthodox Church is clear that the church is to advocate for the poor and the marginalised in the world, caring for their needs and pursuing justice on their behalf. We are not to neglect spiritual needs for social ones, nor social needs for those that are spiritual. This course will explore how the church, as the ongoing body of Christ in the world, should follow Christ in his self-sacrificing identification with all who are cast out or suffering, and care for the whole person, body and spirit. It will explore the theological significance of suffering and illness, and develop a holistic and pastoral understanding of mission that situates the church in the margins of this present age, ministering to Christ in the poor, the sick, the alienated and the imprisoned. To create an understanding of the developmental and behavioural dynamics of adolescence and to develop effective pastoral care practice by studying developmental changes in adolescence, the needs of the adolescent, a dolescent adjustment, issues the family and the adolescent, biblical principles of adolescent pastoral care, pastoral care of adolescents in youth ministry, the process of helping adolescents, and dealing with common adolescent issues. This course will explore the thought and career of Fyodor Dostoevsky. Often discussed for his contributions to 20th Century existentialist philosophy (of which he was a pioneer), Dostoevsky also remains one of the most influential voices in Orthodox Christian theology to the present day, presenting a unique approach to the religious questions at the centre of his work. Here, we will explore Dostoevsky especially as a theologian and religious thinker by examining his context in 19th Century thought, exploring some of his early fiction and non-fiction, and especially by careful reading of Dostoevsky's most important novels. The course will be formatted primarily as a seminar, with short lectures as necessary. Evaluation will be on the basis of two essays (one short, one long), a brief in-class presentation, and class participation.